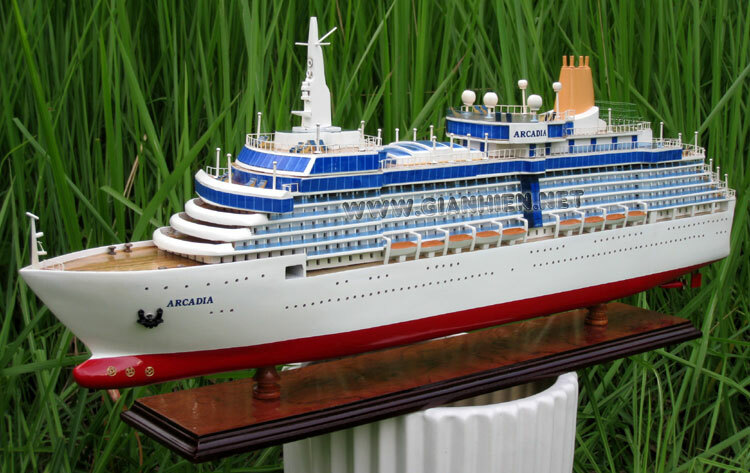 Arcadia entered service for P&O in 2005 to be operated alongside their previous ships, the 69,153 ton Oriana, that entered service in 1995, the 76,000 ton Aurora, that entered service in 2000 and the 77,000 ton Oceana that entered service in 2000. 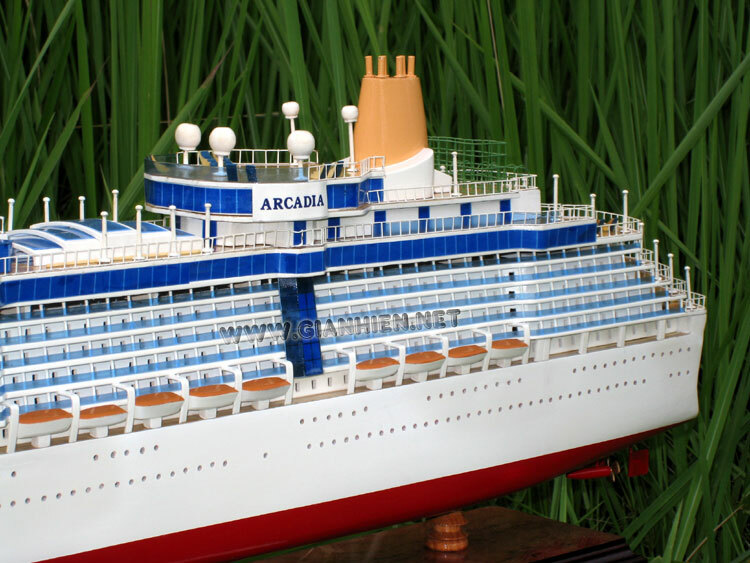 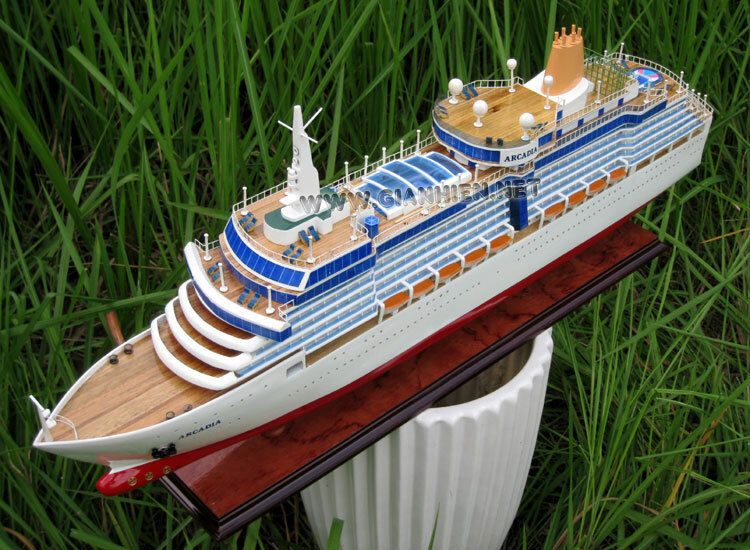 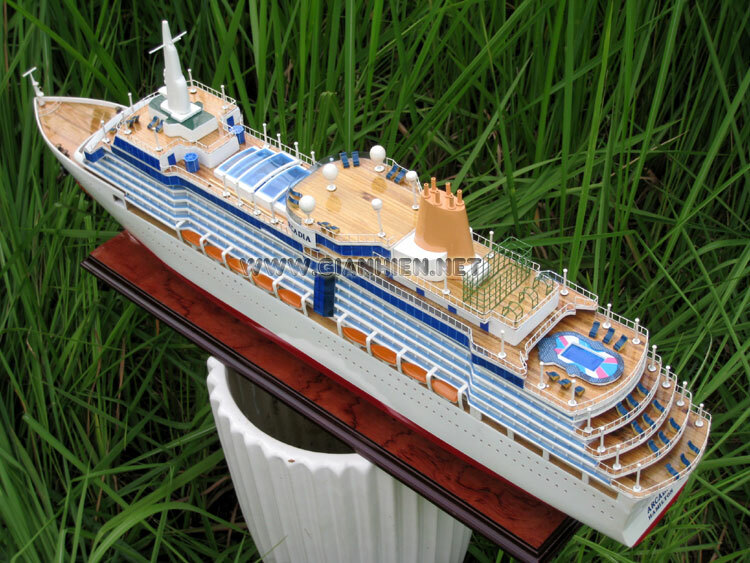 Arcadia was originally ordered as one of five Vista-Class ships by Carnival for their Holland America Line division. 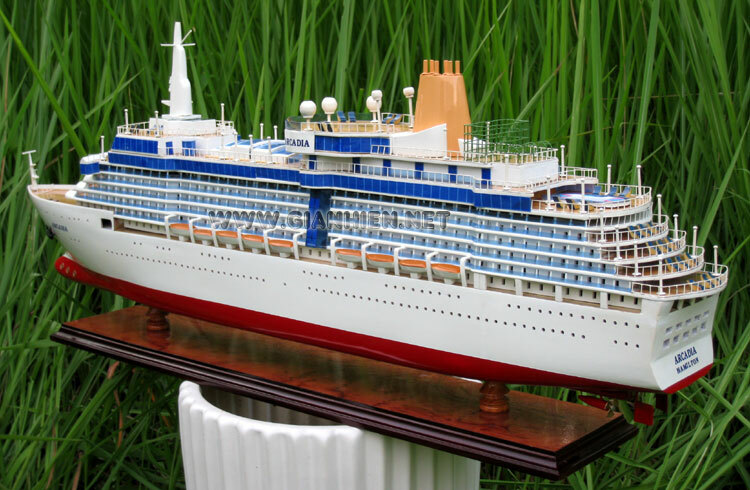 In December 2001, Carnival decided the fifth hull in the series would be transferred to their other division, the Cunard fleet, to become their Queen Victoria. 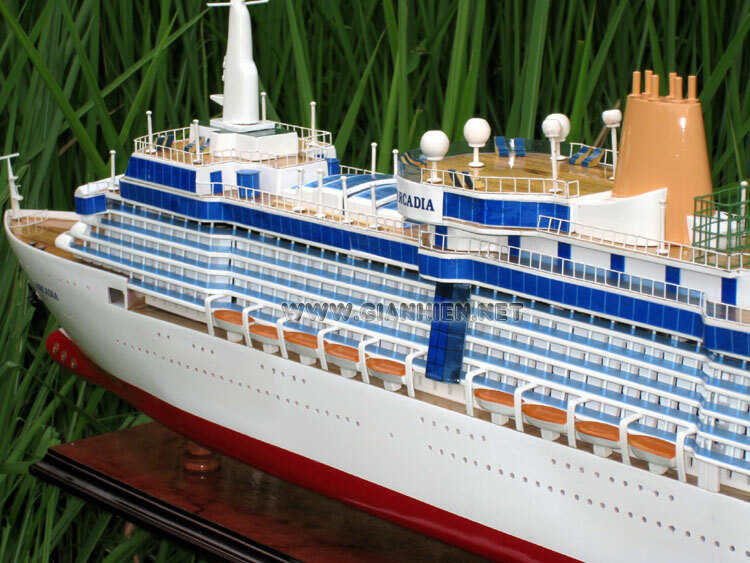 The keel for this ship was laid in July 2003. 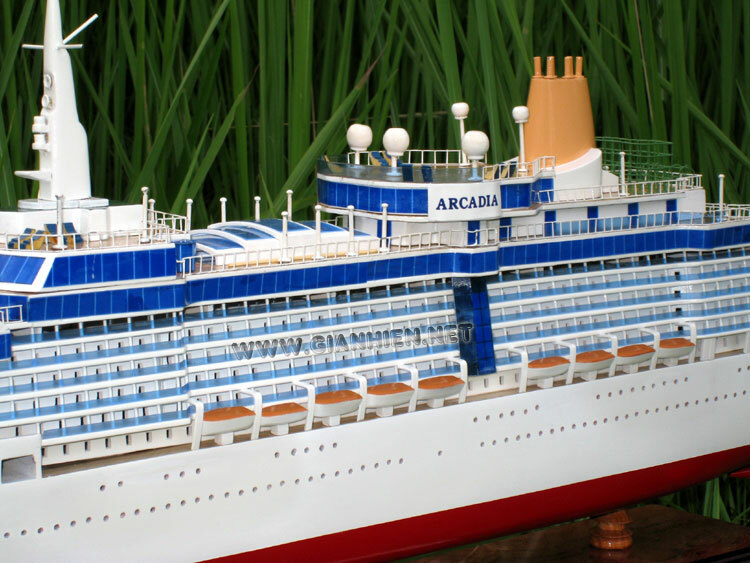 Soon after the merger of Carnival and P&O Princess in 2003, they decided this vessel would join the P&O fleet as Arcadia. 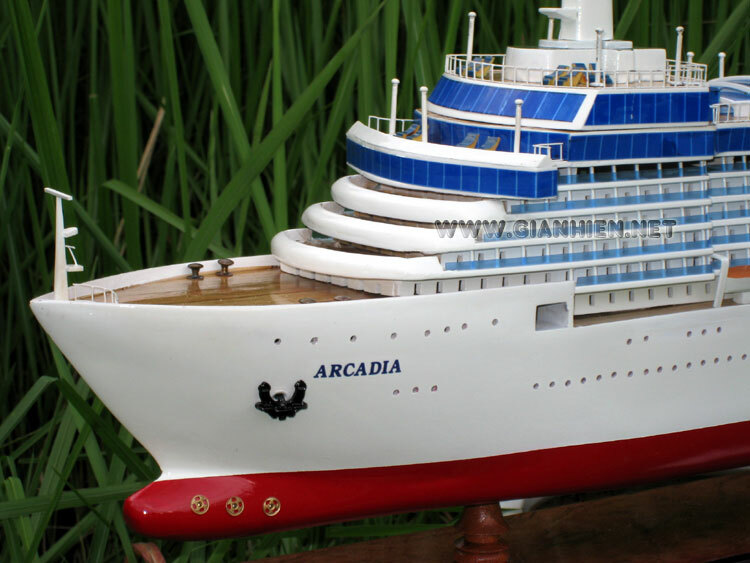 Arcadia has 11 passenger decks, 2 pools, one outdoor, one with a retractable skydome, 14 bars, casino, fitness center, 750-seat theatre, 685 cabins with balconies, 73 cabins with ocean view, 218 inside cabins, can carry 1,952 passengers and a crew of 880. 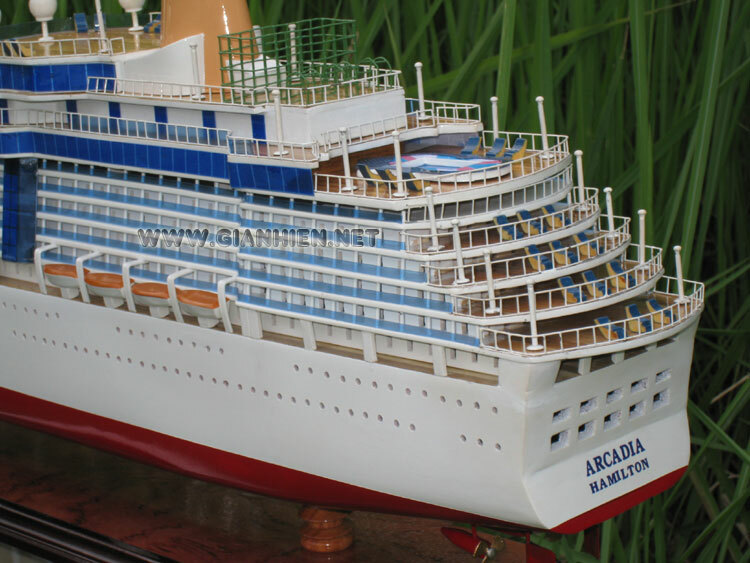 Arcadia is operated out of Barbados during winter for fly-cruises from Britain. 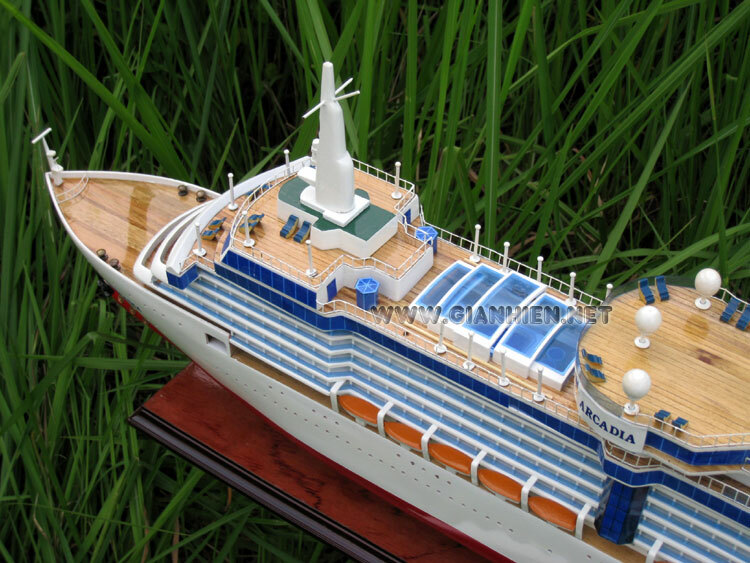 These 14 night excursions take in various Caribbean islands along with ports in America such as Key West & New Orleans. 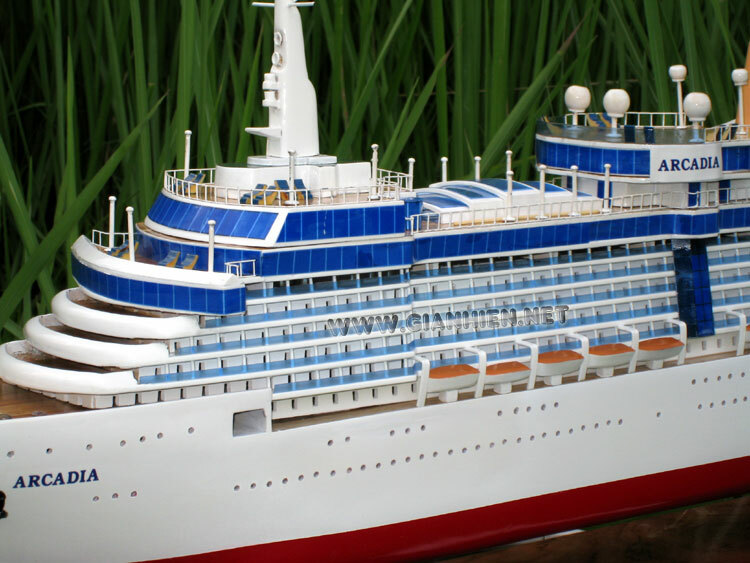 Another 14 night cruise route from Barbados is to Acapulco via the Panama Canal. 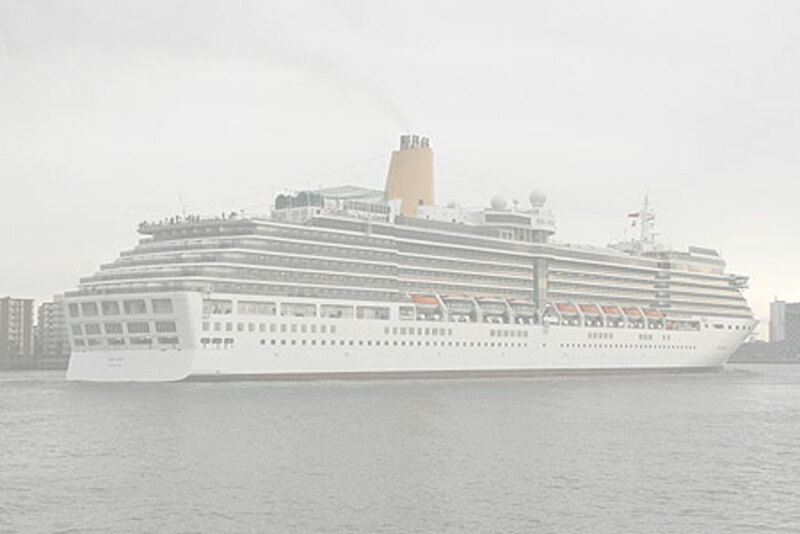 Summer month cruises depart Southampton such as 7 nights - France & Portugal, 13 nights - Portugal & the Canary Islands, and 13 nights - Mediterranean.